Mission Focused. Mission Driven. Mission First. Baltimore, MD, Feb 22, 2016 – Last month, Clear Ridge Defense (CRD), a cyber defense contractor in the Ft. Meade community, received International Organization for Standardization (ISO) 9001 certification from the International Quality Registrars (IQR) Corporation. 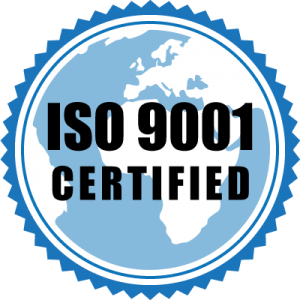 The ISO 9001 certification acknowledges CRD’s well-documented internal processes and practices for quality. “The cyber warfighter demands quality,” says company Founder and Chief Executive Officer, Jeffrey Bullock – “there’s no room for errors.” As a startup, CRD is refining its internal processes now, while change is inexpensive, in order to build the proper foundation for program, change and configuration management as the company grows. As a further commitment to quality, CRD trains each employee on Lean Sig Sigma practices. Armed with the proper tools and strategies, employees can identify and share efficiencies that in turn will minimize overhead – resulting in cost savings to the Department of Defense (DoD) and other Federal customers. CRD (clridge.com) is a defense contractor providing specialized cyber capability and mission support services to the Department of Defense and Intel Community in the Ft. Meade, Maryland area. The company was founded with the vision to provide information dominance efficiencies and share lessons learned across the Service Cyber Components under U.S. Cyber Command. CRD historically has supported the Navy and Marine Corps service elements. Copyright © 2019 Clear Ridge Defense LLC. | All Rights Reserved.